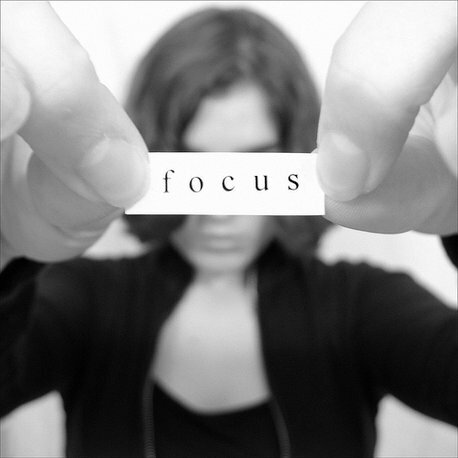 Top Five Reasons Why People Have Difficulty Concentrating - Paola Bailey, Psy.D. What you’ve probably noticed is that this ability waxes and wanes on different days and even at different points within the same day. Some days you are able to breeze through your various tasks and demands, and others, even the smalles set of chores seems to get pushed around and shoved in different directions, none of which lead to completion. 1. Fatigue. Being tired and fatigued is concentration’s worst energy. Research indicates that staying up just 1 hour later than normal significantly decreases focusing capability. Our brains have developed to work best under very specific conditions and nothing harms it's ability to stay focused quite like being tired and fatigued. Rack up sleep deficits regularly, and you’ll likely experience routine and pervasive concentration problems. 2. Stress. Pretty simple, the more tasks you need to get through, (generally) the more stress you experience. The more stressed you feel, the more difficult it is to concentrated and get any of them done, thus trapping you in a vicious cycle. Anyone who has approached an oncoming deadline with an increasing lists of things to accomplish between said deadline knows what I'm talking about. 3. Multitasking. Contrary to (relatively recent) popular belief, multitasking is NOT a good thing. In our fast paced, time-is-money world, we are continuously pushed to do more things at once and do them faster. However, scientific research has repeatedly proven that not only is this approach detrimental to the task at hand (careless errors, for example), it is also bad for your brain! It becomes accustomed to jumping from topic to topic, making it even harder for your to harness your ability to stay focused on any one thing for any prolonged period of time. In other words, too much multitasking and you are in essence teaching your brain to have a shorter and less efficient attention span! 4. Boredom & Lack of Challenge. This factor is quite clear when you look at a child (or adult) with ADD/ADHD, sit them down to do the same thing for the 100th time and they can’t focus. Give them a novel, interesting, and challenging project and all of a sudden they are able to focus. Going back to the point that our brains are constantly being bombarded by internal and external stimulus, it makes sense that some of them go into "auto-pilot" and that our brains conserve time and energey by payling less attention to those things which are expected routines. 5. Physical Factors. Physical distractions cause mental distraction. This can be as obvious as not feeling well due to illness or injury, but it also plays a more subtle role. Focusing is more difficult if you have certain medical or mental health conditions, including thyroid disease, anemia, diabetes, depression, or anxiety. Again, the mind and body connection I’ve been mentioning throughout this blog plays a role. So, now that you know some of the practical reasons why people's concentration varies, you can start to take inventory of which apply to you. Stay tuned for the next post where I will discuss simple ways to begin to address these factors and make changes to improve your attention and concentration. i want to research about it. actually the title is “The influence of learning design towards student concentration” May you help me? Send me some reference about concentration especially for teenager. sugandha.chan@gmail.com i will thank full to whoever send me. I had trouble focusing for a long time. It started in college, I studied law so I had to learn a lot of stuff by heart. Now I’m working in a super competitive lawfirm and I have to perform to the max everyday. The first 3 things you mention in this blog post applied to me as well. However I came across Nootropic Plus (http://nootropicplus.com/) and started using it to improve my memory and focus, I feel so much better since then, I have to say it really helped me. So to all of you, who have trouble focusing due to stress and fatigue- I recommend you these nootropic pills! I HAVE diabetes, depression, anxiety trouble concentrating and retaining info. I am forgetful. I’m on medication. buy my focus is an issue for me. I don’t feel like things are always clear. This blog’s appearance is classic. Hi Gloria. Thank you for reading the blog and taking the time to comment on it. I’m sorry to hear you are struggling with concentration difficulties. My best suggestion is to discuss this with your current therapist, and see if she/he can help address those concerns, and if not, refer you to someone who can. Good luck! I have suffered from Clinical Depression and SAD since I started Law School far away from home, 5 years ago. I used to be the most organised person, able to complete tasks and especially assignments in a matter of hours. Now, I cannot even concentrate long enough to send out job applications. Financial stress, home-sickness, physical factors, insomnia and depression and anxiety are definitely the cause of my inability to concentrate. I am in therapy for the depression, and take anti-depressants as well, but this doesn’t seem to be helping my concentration.